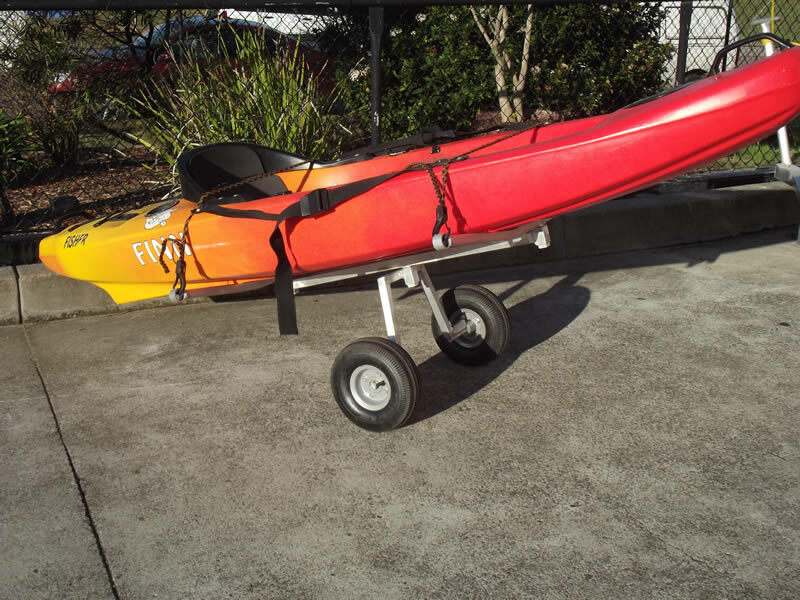 Are you sick of cheap kayak trolleys that just don’t work? 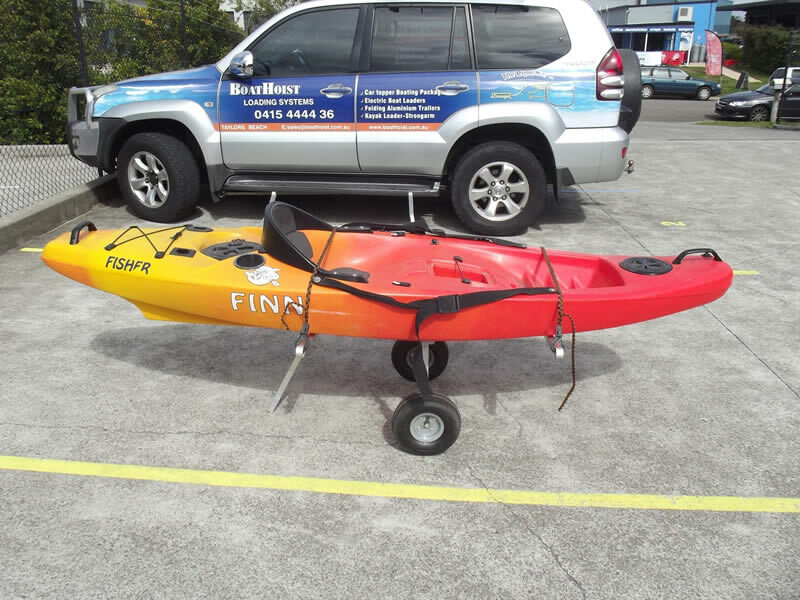 Either the kayak slips off, the wheels bog down and twist, you break leaning down to it to pull or the wheels are too far back! 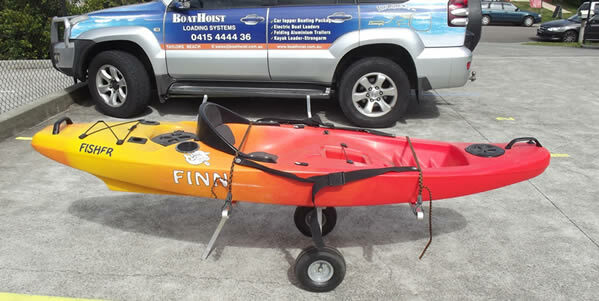 Do you wish to store your kayak trolley away and assemble quickly when you get to the water? 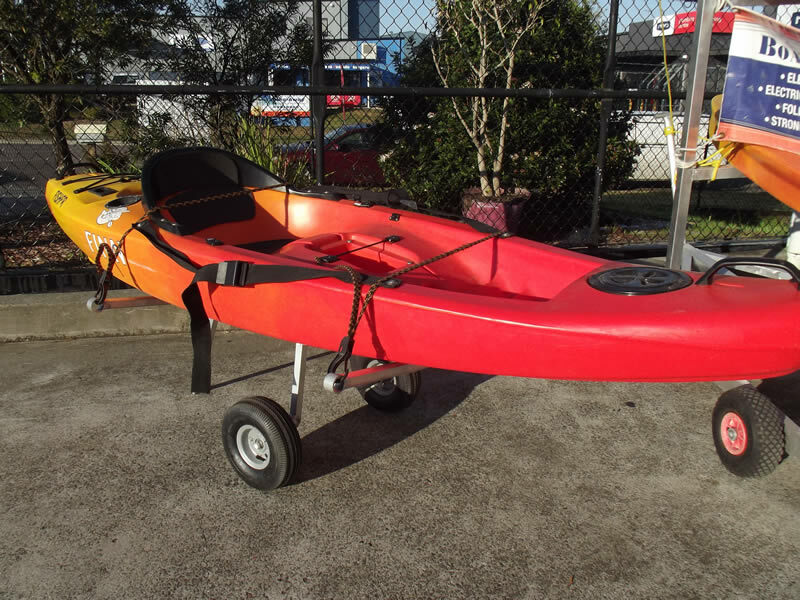 Do you want to load all your gear onto the kayak and wheel it to the water? If you answered YES to just one of these questions than the KT Trolley is for you. We supply our KT Trolley direct to our customers so you are dealing with the manufacturer NOT a salesman. 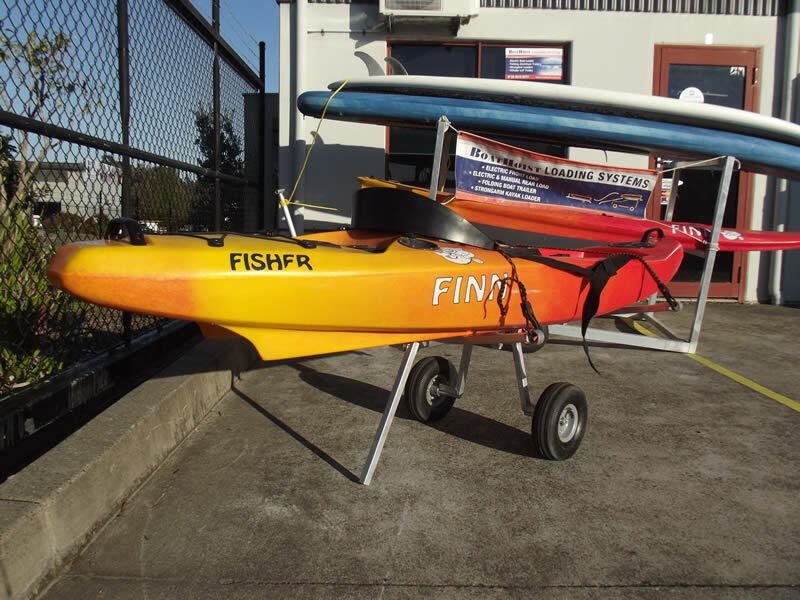 The KT Trolley can be freighted direct to your door in all Australian states or you can pick up from our Nelson Bay, NSW or Sunshine Coast workshop but please contact first.